Current ComfortDelGro's share price implies the halving of ComfortDelGro's taxi margins is priced in, but stock lacks longer-term catalysts. Dividend yield and net cash cap share price downside. News of ComfortDelGro drivers being enticed by Grab to become its taxi driver partners or join its private-hire cars service resulted in ComfortDelGro share price falling to current levels. Headwinds in the taxi segment could persist but a successful Uber tie-up could breathe new life to ComfortDelGro's small divisions and level the industry's playing field. Earnings-accretive M&As and a higher dividend payout could re-rate the stock. Maintain Hold, with a lower DCF-based TP of S$2.15. We believe ComfortDelGro's current share price prices in taxi EBIT margins of 6.4-7.9% in FY17-22F (vs. historical 11.7% for 1H17 and 12.5% for FY16), with Singapore taxi margins being the main driver of the decreases at estimated FY17-22F EBIT margins 4.6-6.5% (vs. an estimated of 1H17: 11.9, FY16:11.6% - our estimates as ComfortDelGro does not report such margins). Such margins implies a taxi fleet of 14.0k by FY19F (vs. 15.5k in FY17F and 14.3k in FY18F), utilisation rate stagnating at 90% till perpetuity, and rental rates edging down c.9.3% in FY17F. Whilst, ComfortDelGro's average taxi fleet could fall, as per the scenario above (given that ComfortDelGro's fleet is already down 9.2% yoy to 15,472 at end-Jul 17 vs. 17,044 in Jul 16) we believe utilisation rates and average rental rates may not see such a de-rating, especially given a successful ComfortDelGro-Uber strategic tie-up. Exclusive sharing of Uber’s third-party app booking. This would open ComfortDelGro to Uber’s pool of riders (private-hire) and stem the decline of booking revenue. In ComfortDelGro's 2Q17 results, it mentioned that bookings have been declining 14- 20% yoy from 2Q16. An exclusive working arrangement for Uber’s fleet of cars (purportedly c.15,000 under Lion City Rentals) to be maintained by ComfortDelGro's automotive engineering division which currently accounts for c.4.7% of revenue and 10.1% of EBIT in 1H17. ComfortDelGro could acquire a portion of Uber’s fleet to deepen its foothold in the car rental (private-hire) market which has ballooned by 50.9% to 65.6k in Aug 17 from 43.9k in Aug 16. As at end-2016, ComfortDelGro's fleet stood at 1,105 cars, and only 147 were brand new. We believe ComfortDelGro will have to tread carefully in terms of the valuation and quality of the Uber cars chosen, but it definitely has the ‘dry-powder’ to stomach fleet acquisitions given its strong balance sheet. As at 1H17, the rental division accounted for a negligible 2.3% of 1H17 revenue and 0.9% of EBIT. While ComfortDelGro may have to sacrifice some margins in the short run; due to potential profit-sharing schemes, we see this tie-up as an active move by management to level the playing field between taxis and private-hire cars. Following ComfortDelGro's announcement of a potential strategic tie-up with Uber Technologies, Grab had retaliated with intensive promotions targeting ComfortDelGro drivers. In our view, Grab’s move is to secure drivers, in the event a successful ComfortDelGro-Uber tie-up results in ComfortDelGro drivers dealing exclusively with Uber, eroding Grab’s existing pool of drivers. We forecast ComfortDelGro's fleet size to fall to 14.0k by FY19F (from 15.5k in FY17F) as it allows its fleet to naturally expire (taxis have a life span of eight years) and utilisation rates to trend at 94-95% over FY17-19F, and stabilise at 97% from FY20F onwards as ComfortDelGro manages its idling rate better (1Q17: 3%, 2Q17: 5%). We also expect the pace of rental rates to shrink by c.-1-2.9% p.a. over FY17-19F. This results in our FY17-19F EBIT and taxi margins narrowing to S$125.8m/S$93.0/S$95.9m and 10.4%/8.1%/8.4%, respectively (from S$132.0m/125.1m/124.0m and 10.8%/11.1%/11.1% previously). Our sensitivity analysis shows that every +250/-250 change in ComfortDelGro's s taxi fleet moves its net profit by 0.2-0.4% and TP by 2 Scts. Each +1%/-1% change in utilisation rates moves ComfortDelGro's net profit by 0.2-0.6% and Target Price by c.1.8-2 Scts. We believe ComfortDelGro has room to enhance its dividend payout, given the lower capex needed for the taxi segment. We believe it will seek to incentivise shareholders given in spite of its minimal earnings growth. Our sensitivity analysis illustrates that ComfortDelGro has room to increase its dividend payout to 90%, and still remain in net cash position. We raise our FY17-19F dividend payout to 75% (from 70%) which translates to a yield of 5.4-5.1%. This is close to the FY17-18F estimated dividend yield of 5.8- 5.9% paid by the REITs and higher than the forecasted dividend yield of c.3.8% paid by large-cap stocks under CIMB coverage. In FY16, ComfortDelGro had a dividend payout of 70%, above its dividend policy of 50%. Valuation close to historical average; dividend yield and better-than-expected taxi margins are potential catalysts. 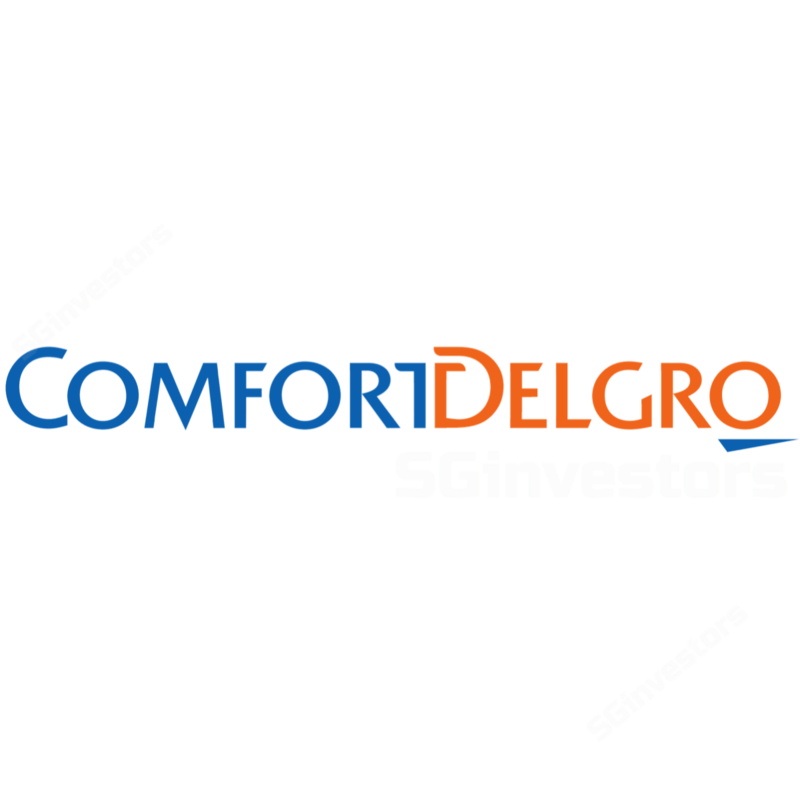 The significant fall in ComfortDelGro's share price in the past two weeks has brought its FY17-19F P/E to 14.4-14.9x, below its historical average of 15.9x. High dividend yield could cap share price downside in the near term; but the lack of longer-term catalysts could continue to weigh on the stock. Hence, we thus maintain our Hold call.